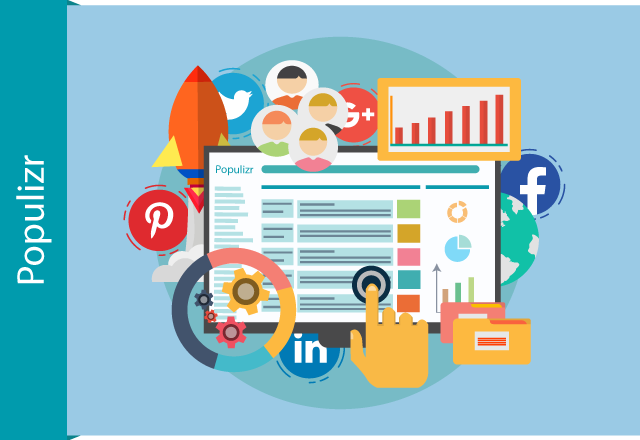 You know that creating effective social media marketing campaigns is crucial for getting engagement and driving social traffic for your clients. However, creating every single campaign, posting it on each social platform, and choosing specific posting time for every single post of your clients MANUALLY is not only time consuming, but also tough and exhausting. It sure costs you lots of time and effort, but has it cost you a client because you failed to deliver effectiveness? To make sure not to lose any client, maybe it’s time to rely on an automated social media tool like Populizr. Social algorithms and Google hate duplicate content. So, when you create campaigns for your clients, each variation should be unique. Doing this for every single post of all your clients, for several social platforms is time-consuming. 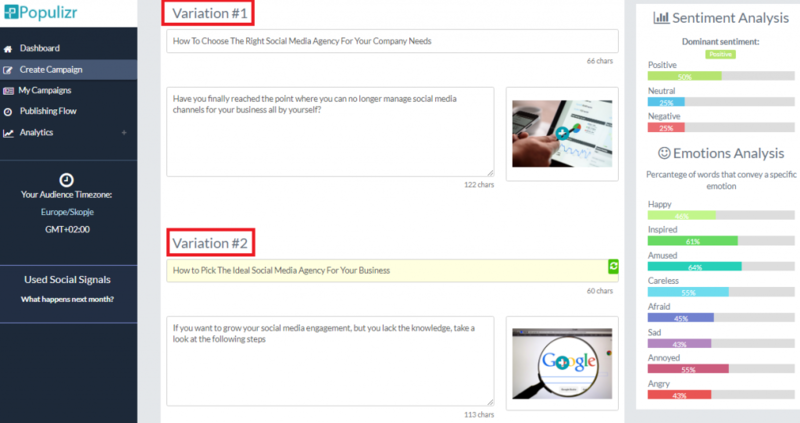 Populizr has an excellent feature that automatically creates up to 25 unique variations of a single blog post. Thanks to this feature, you will not only save lots of time and effort, but you’ll also avoid posting duplicate content for your clients. That’s what makes this tool different and better from the other tools on the market where with most of them, you make variations manually. Serve even more new clients. And, you can do this without having to hire an army of marketers. You will make your team giving better results, in less time, while working from one single dashboard, making a few clicks a day. Populizr is the only tool in the market that has a built-in Sentiment and Emotion Analyzer. And thanks to it, you can get the right emotional response from your clients’ audience. The social posts you share for your clients can trigger a certain emotional response from their audience. It can be happiness, excitement, or even anger and fear. So, for you to get the response you want, you need to make sure the emotions in your content to be in line with those you want to trigger in your clients’ audience. Populizr is able to analyze the sentiment and the emotional value of the content before you even post the campaigns. 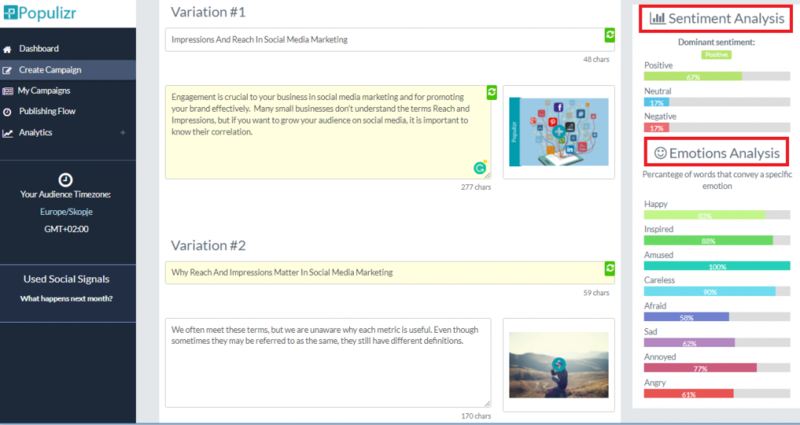 In other words, this tool is your ticket to social engagement. 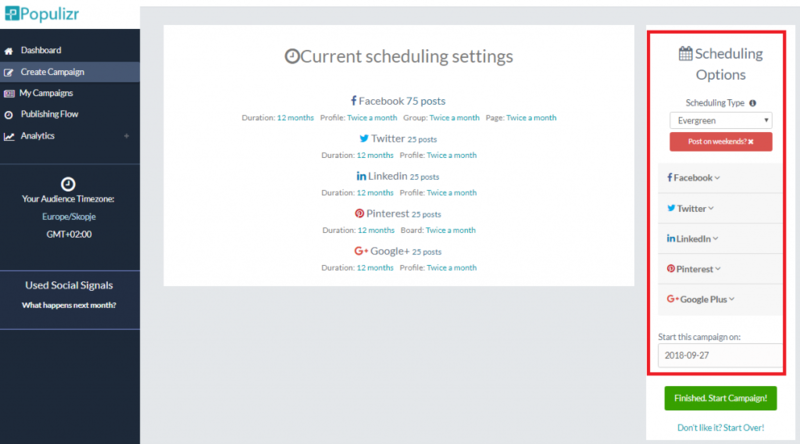 With most of the social scheduling tools out there, such as Hootsuite, you can schedule post by post, on different platforms, at a different time, manually. With Populizr, you just take one single post, and you schedule it on different platforms, at a different time, with just a few clicks. Populizr simply makes social scheduling very easy. In order to make better campaigns in the future, you need to measure the effectiveness of each campaign you launch. By doing this, you’ll be able to see what worked or not in the past and aim to develop more effective social media marketing strategy. Social media platforms have their own analytic system that helps you track social reach, engagement, etc. However, tracking every single campaign of your clients, on every social platform, takes tons of time. 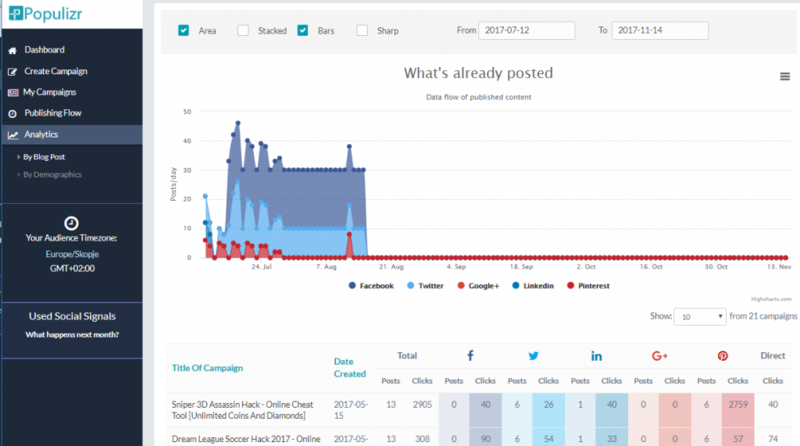 Populizr, on the other hand, has a built-in Analytics that measures the effectiveness of the campaigns you launch for your clients on all social profiles. Demographics – Where you can track the number of social signals and clicks-per-social network for every single variation. Blog post – Where you can track the reader’s location per social network. With Populizr, you can track your campaign progress for all your clients and all social profiles from one single dashboard. It not only saves you time but also effort. Populizr is the only tool on the market that helps you create effortless, effective social media marketing campaigns. Effective social media marketing campaign is the one that drives traffic to the website for months, even years after its launching. And, creating unique, emotionally engaging social posts is the way to start. Thanks to Populizr’s built-in Sentiment and Emotion Analyzer, you can trigger the right emotional response of your clients’ audience. Also, Populizr creates fully automated unique variations and schedules them ahead of time. You don’t have to do all these things manually, so, it saves you lots of time and effort. With Populizr Analytics, you can also easily track campaign performance, and improve your strategy in the future. With Populizr, you can satisfy your current, and serve new clients, without hiring more marketing experts. Try Populizr for Agencies today and grow your business by easily and effectively serving all your clients.